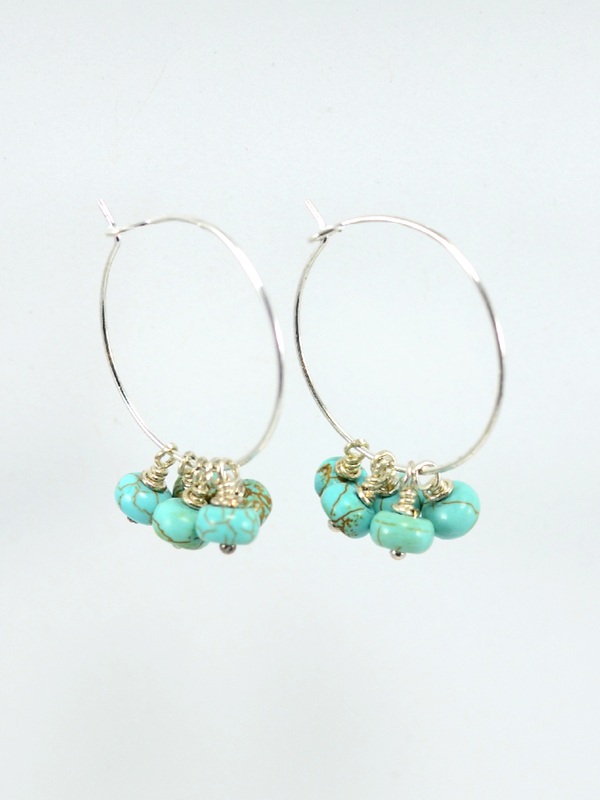 These bohemian 25mm silver hoop earrings are adorned with individually wrapped Turquoise rondelles to create a delicate cluster when worn. Turquoise is a great protection amulet, a symbol of friendship and peace in the home. 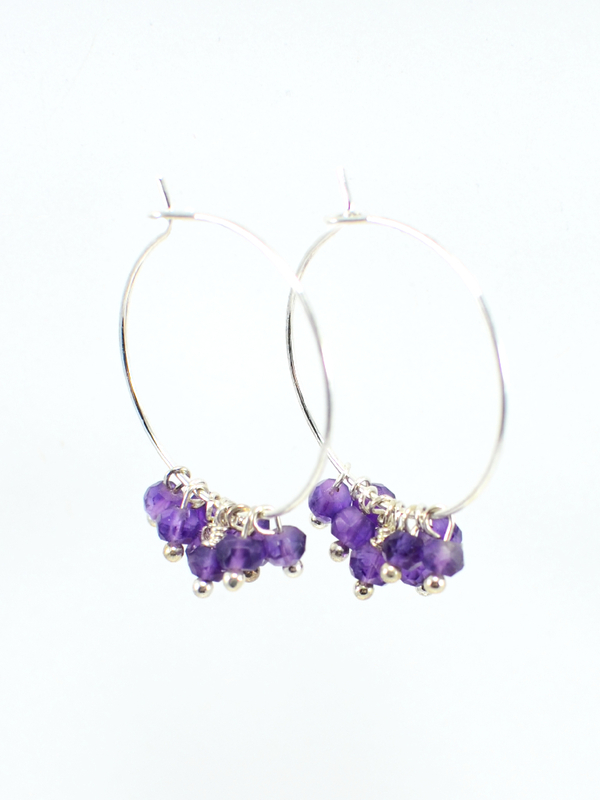 These bohemian 25mm silver hoop earrings are adorned with individually wrapped Amethyst rondelles to create a delicate cluster when worn. Amethyst is said to assist in calmness and inner peace and clarity of mind. 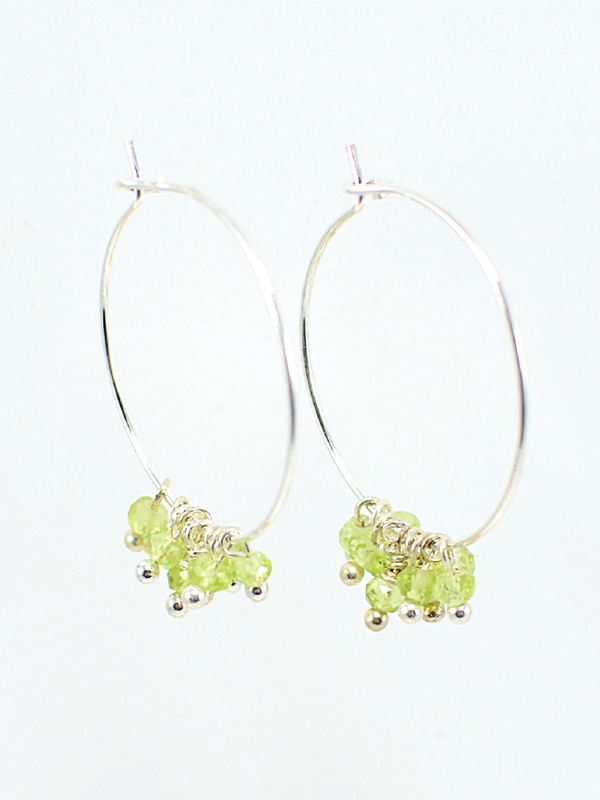 These bohemian 25mm silver hoop earrings are adorned with individually wrapped Peridot rondelles to create a delicate cluster when worn. Peridot is often associated with love, truth and loyalty. 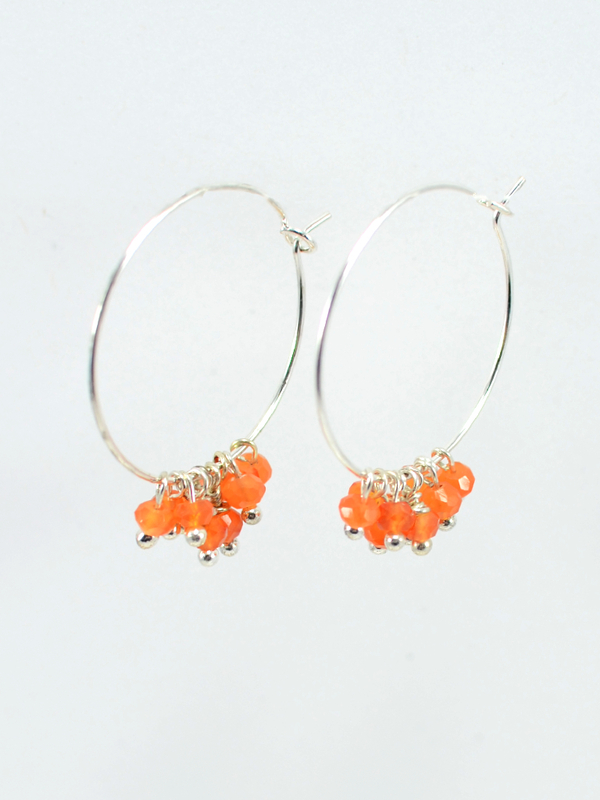 These bohemian 25mm silver hoop earrings are adorned with individually wrapped Carnelian rondelles to create a delicate cluster when worn. Carnelian is often associated with courage, confidence and increased clarity. 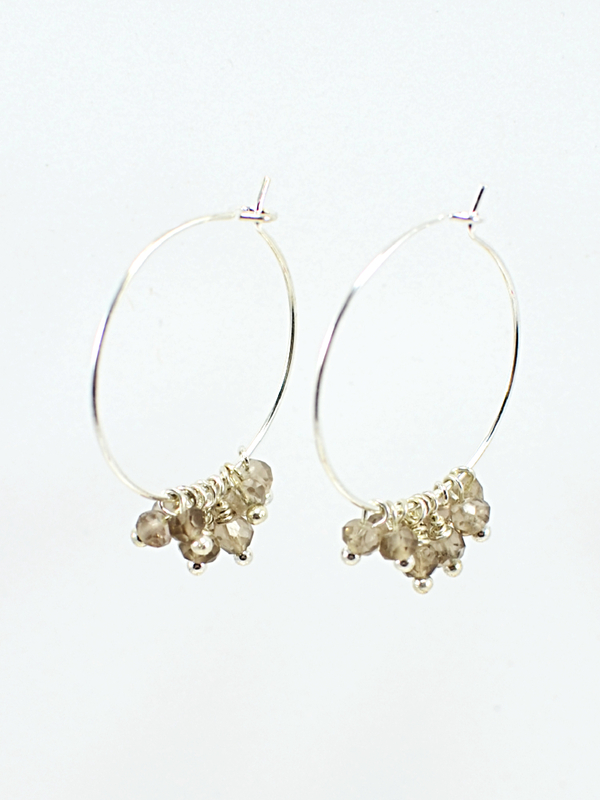 These bohemian 25mm silver hoop earrings are adorned with individually wrapped Smokey Quartz rondelles to create a delicate cluster when worn. Smokey Quartz is often associated with neutralizing negative energy and relieving stress. 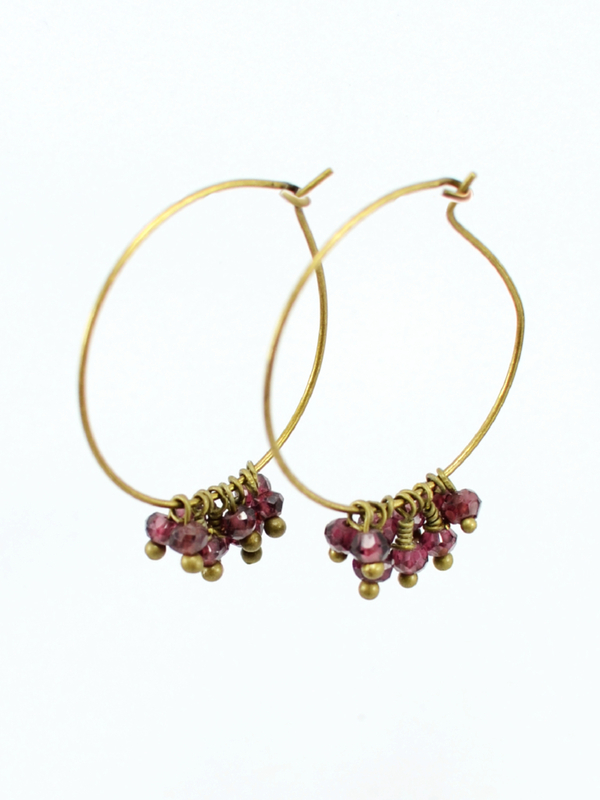 These bohemian 25mm antique bronze hoop earrings are adorned with individually wrapped Rhodolite Garnet. Rhodolite Garnet is known as an inspirational stone that encourages love and kindness.